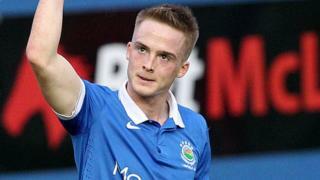 Goals in the first half by Andrew Waterworth and Aaron Burns prove enough to secure victory for Linfield at home to Coleraine. But they had to work hard for the three points after Neil McCafferty pulled it back to 2-1 with 10 minutes to go. Linfield are up to third in the Irish Premiership table - two points behind Cliftonville and Portadown.